I’m in the States now for a month-long stint of speaking, conferences, catching up with old friends and of course making new ones. This trip, however, has been particularly nostalgic. 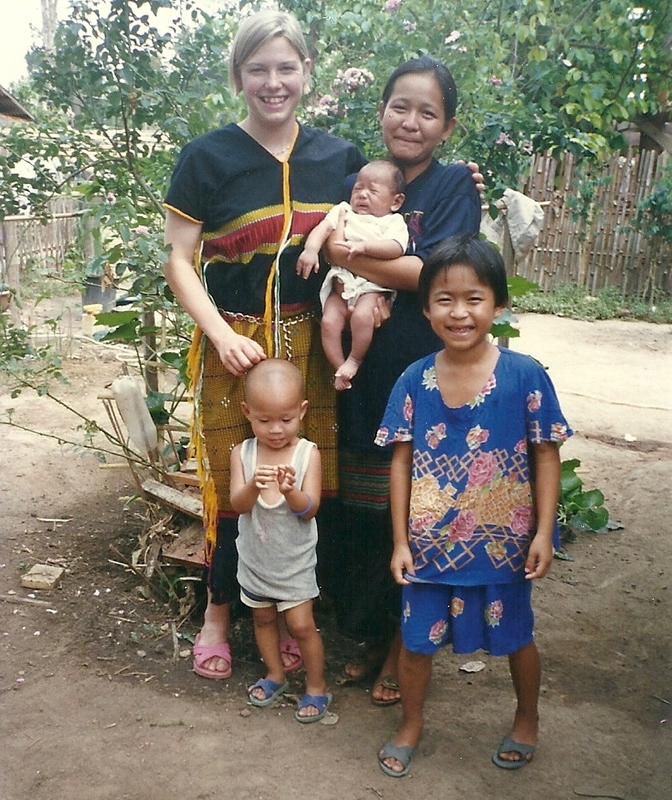 As a medical student in 1997 I delivered a baby girl to Shirley and Moses, a Karen family living on the Thai-Burma border seeking refuge there from the atrocities in their homeland. This family has been living in my hometown of Fort Wayne, IN for nearly three years, having been sponsored by my home church as refugees. That is such a cool story! But wait! There’s more! This may come as a surprise to many of you but Fort Wayne, IN is home to the most refugees from Burma (ethnic groups Karen, Chin, Mon, etc) in the United States. I met a couple of people at the gathering who moved to Ft. Wayne, just to be a part of the larger community. I have heard about many people from the area of Thailand where I used to work now living in Fort Wayne. When I came back this year, I asked Shirley if she would like to host a gathering for me to visit with people I knew from Thailand, now living in Ft. Wayne. The conversation was a mix of Thai, English, and Karen. A young man confirmed, “Doctor, this is really your hometown? !” It is a surreal thought for all of us. We had a good time discussing the old days, what happened to so-and-so, culture-clashes, language difficulties, dreams, and goals. Overall, they were very happy to be in Fort Wayne, although I know their life is not an easy one. But we share an understanding about what is truly difficult and what are inconveniences to immigrating and living as an expatriate. Thailand circa 1997. Medical student me with Shirley holding Rosie, Junior and November in front. Shirley and Moses both work full time and they work very hard. Their eldest daughter November is married with a two-year-old daughter, their son Junior (a high school junior) is a math whiz and wants to study engineering, and their youngest, Rosie, whom I delivered back in the bush hospital on the border, is a high school sophomore and has wanted to be a physician all her life. It is a joy and a privilege to have them in my home town, while I continue to work in Thailand. Another nostalgic moment was the reunion celebration of Steve Barber, and his 25 years of excellence as the band director of the Homestead High School Spartan Alliance Marching Band. It was even more special to celebrate 25 straight years of State Finals appearances with a 2011 State Championship! I continue to say “WE” because it has always been “WE” with the band. I was Barber’s first Drum Major and we went to State for the first time in 1987, but we built this legacy with a foundation of hard work, team work, excellence, dedication, and pride. These values learned for success on the field are integral to life-long success off of it. Thank you Steve Barber for all that you have poured into each student, making us truly a class act. Categories: expat life | Tags: burma, refugee, Thailand | Permalink. As I’m sure it has for all of you, I have been crushed with the news of the cyclone that wiped out parts of Burma and the earthquake that shattered parts of China. With relief, I can say that Kunming and Yunnan province in general has not been affected as it lies to the South and West of Sichuan Province, of which the capital is Chengdu. 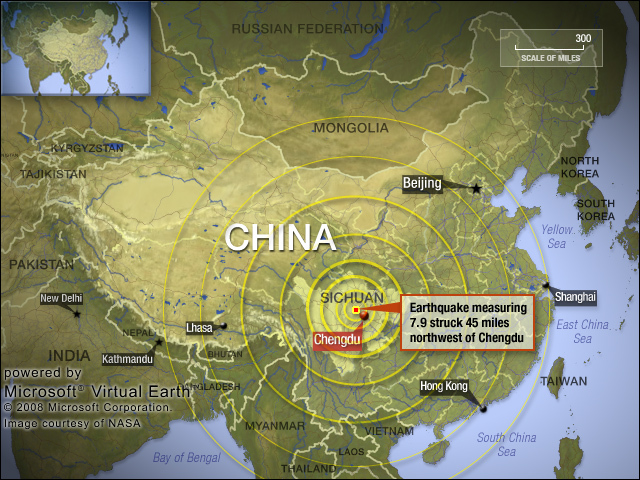 Also, the people that I know who live in Sichuan province are all safe. The New York Times has an interactive map which is interesting and helpful. Another map from NPR. The health professionals and anyone available – especially those organizations who already have a presence there – are mobilizing people and resources into those areas. Now, a serious concern is the integrity and condition of dams which, if they collapsed, would greatly compromise power plants, wipe out villages and result in many more casualties. If you want more specific information about the efforts there, please ask or comment below. The people of Burma continue to suffer in the wake of Cyclone Nargis as the military junta continues to restrict aid and aid workers. Some aid groups also claim that the military has absconded with aid and redirected it toward support of the military – for more click here. Furthermore, a referendum vote was held as previously scheduled on May 10. This referendum, if approved, would basically legitimize and cement the military dictatorship rule as constitutional. The vote has been reported as winning “massive support” from the people. My friends in the Free Burma Rangers continue to give updates on what is happening in the area affected by the cyclone as well as the situation of villagers in other areas of Burma who continue to suffer brutality even as cyclone victims are denied assistance. Partners Relief and Development is an agency working with the Free Burma Rangers in providing assistance to cyclone survivors. I’m sure that all of you have probably seen many pictures (perhaps more than you care to see) but I hope that you won’t grow fatigued in thinking about, learning about, and praying for these people in these areas. If you have questions or comments about any of this, I encourage you to write back. I have been traveling and I haven’t found time to blog until today. Categories: Uncategorized | Tags: burma, china | Permalink.